As I’m cooking up my last 1940s recipes before D-Day (October 1st), I’m reminding myself I’ve come a long way even though at times I feel everything is standing still and I’m making no headway. Initially weight loss was quick changing my terrible eating habits over to WW2 rationing but the last few months, despite increasing my aerobic exercise, its coming off very slowly.. So when I got hold of some old digital photos yesterday and started looking through them I found many photos that had me staring in disbelief. I’ve still about 60-70 lbs left to lose to get to the weight I should be for my height but looking at those old photos I could see how very unhealthy I looked weighing in at around 350 lbs at that time. I remember thinking then there was no hope, I’d never get to grips with losing the weight, it makes me so sad to look at those photos because the children were young and I couldn’t run around with them.. But it’s never to late to change things..
WOW Carolyn It is unbelievable how far you have come in such a reletively short time. You have every right to be proud of yourself. I bet the “hobbits” are proud of their Mum too. Yes, you are doing brilliantly, and you are an inspiration to many. I’ve been thinking good and hard about this. I would love to carry on and will do in some form. I’ve thought about doing another year living 100% on wartime rations like I have been doing simply replicating wartime food but its really tough.. I think (I still have to decide) what I am leaning to is to remain on rations and cooking and replicating 1940s meals but allow myself a day off every week to allow some sort of culinary deviation, there are so many vegan recipes I’d love to cook and try for instance. I’m also working on another culinary project that readers of the 1940s Experiment would probably really like as would schools BUT I’m not sure how being vegan would fit in.. 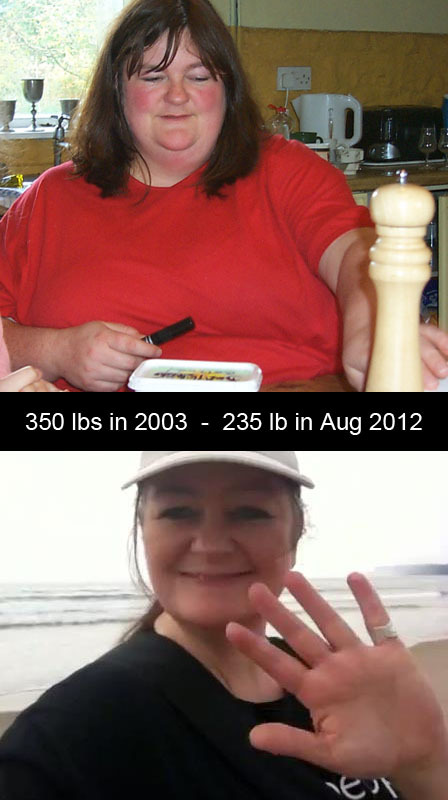 Regardless the blog will continue, there are hundreds more recipes to try out AND I still have 60 lbs to lose!!! I love your outlook! You have come a long way–and slow weight loss is the kind that sticks, so while it may be difficult, you can at least feel confident that you’re doing it right. Congrats on reaching your one year mark! Such an achievement! Making new habits is the hardest thing, a structure like the ration diet helps but after a year, healthy is now your ‘normal.’ You are an inspiration indeed.